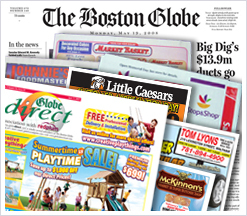 Shared Mail/TMC allows advertisers to send inserts or coupons to 100% of their targeted market while harnessing the unique distribution of The Boston Globe and USPS. Solo Mail is an efficient, cost effective, and targeted way to deliver your advertising message to your current and potential customers. Our turn-key direct mail solutions provide everything you need from campaign development to list analysis to printing. Globe Direct makes direct marketing easy! 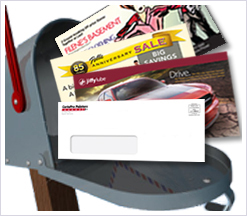 Globe Direct is the answer for one-stop direct mail and shared mail marketing services. Capabilities include design, printing, list management, data processing, all aspects of production, logistics, shipping and postal management. With an on-site U.S. Post Office and full-service lettershop, Globe Direct offers advertisers a dramatically easier, faster, and more efficient direct marketing solution.